On Friday of each week I will showcase Menswear. The House of Lanvin Menswear A/W 2011 collection is set to show Sunday in Paris. Alas it is casual Friday here in the US. 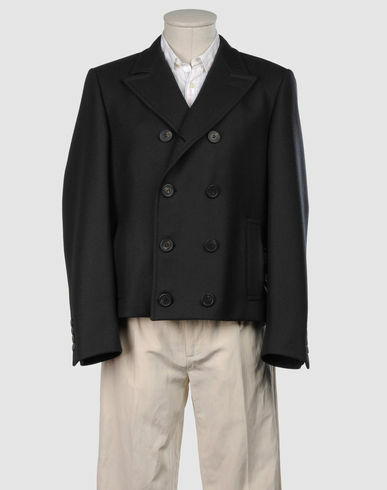 Lets go back CIRCA 2008 to admire this Lanvin Wool Blazer. The blazer is styled for a formal occasion but can be worn as everyday winter wear. So go ahead and spruce up your casual Friday khakis, jeans and sweatpants. Yes, I have seen men and women in sweatpants at work-Shudders!